Hi! My name is Clare C. Marshall, and Faery Ink Press is my publishing imprint. I publish science fiction, fantasy, and horror/thriller books for young adults. Clare C. Marshall grew up in rural Nova Scotia with very little television and dial-up internet, and yet she turned out okay. Her YA sci-fi novel Dreams In Her Head was nominated for the 2014 Creation of Stories award. Her fantasy novel, The Violet Fox was given an honorable mention in the 2016 Whistler Independent Book Awards. 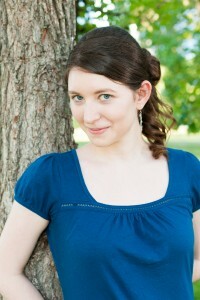 She is a full-time freelance editor, book designer, and web manager. If there’s time left in the day, she devotes it to Faery Ink Press, her publishing imprint. When she’s not writing or fiddling up a storm, she enjoys computer games and making silly noises at cats. We can create hope where there is none. We can keep faith in our abilities when no one else does. We can find beauty within and without. We can find the humility to ask for help when we need it. In our books, people die. People kiss. Sometimes unlikeable people are the protagonists and you just want to kick their butts. Most importantly, our protagonists are willing to risk everything to navigate or escape their extraordinary fantastical circumstances. In their struggle, they learn and come into their own. Faery Ink Press books have a distinctive dark underbelly, but life isn’t all about underbellies. Faery Ink Press takes the romance and adventure of fairy tale-like stories and gives them a reality check. That’s what Faery Ink Press books are about. I’ve always been a writer, ever since I was little. I’d make up stories about our cats or my friends and create little books out of paper. But why publish myself? When I started submitting my mammoth-sized manuscripts to publishers when I was fifteen, I researched everything I could about publishing. This research continued up to the second year of my journalism degree, around 2008 when we were all being told that there were very few jobs for writers anywhere. That was when I started thinking seriously about publishing my own work. I’d look at traditional publishers in North America and think: I could make my books look just as good as theirs, if I had the proper resources, time, and knowledge. So I continued to write and research, and two years later I graduated with my journalism (honours) degree, and was accepted into the Humber College Publishing Programme. It was there I met a lot of great people, and filled in the gaps in my publishing knowledge. I also got a real reality check about publishing. It’s not something you can do alone. It’s a lot of work. Like…a lot of work. Did that make me not want to do it? I completed the program, worked for different publishers in Canada, and freelanced for various independent authors, publishers, and companies all around the world (still do). How did I know I was ready to become my own publisher? You’re never going to be 100% ready. I had all the knowledge, I had the resources, and I had the time. I jumped in, and published my first book, Within, in 2011. I’ve been publishing at least one book a year since. Being my own publisher has taken me to cities I wouldn’t have thought to visit, become friends with people I may never have known, and learn way more about publishing than I ever could from just researching it (although school and my own research did provide a firm foundation). Publishing my own books has made me a better freelancer, because I’m the sort of client I might have. It’s not always easy. But I don’t do things because they’re easy. Publishing is time consuming, resource draining, and frustrating. I’m always learning something new. Publishing isn’t a one-and-done kind of deal. It’s a lifelong commitment. I am building something that will outlast me. If you have a more specific question, I have a FAQ page or you can contact me.